Prof. Amar Nath Mukhopadhyay, an eminent plant pathologist of international repute, took over charge of the Vice-Chancellor of AAU w.e.f. May 7, 1997. An alumnus of Banaras Hindu University, Prof. Amar Nath Mukhopadhyay is the recipient of prestigious awards and honours like Prof. Narasimhan Academy Award, Prof. M.S. Pavgi Award, and Fellowship of the Indian Phytopathological Society and Fellowship of the National Academy of Agricultural Sciences. 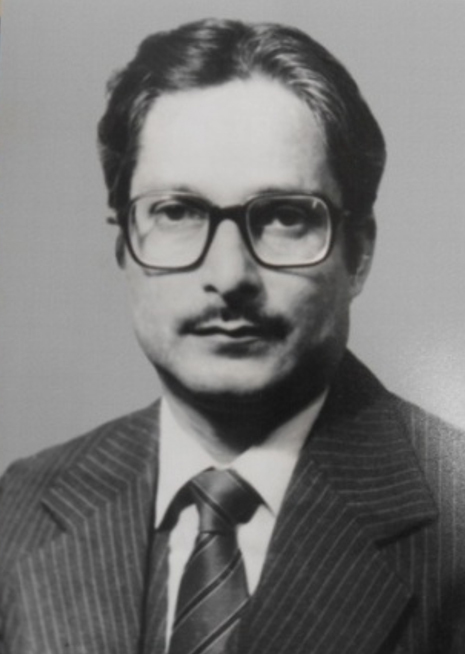 He was the Editor-in-chief of Indian Journal of Mycology and Plant Pathology (1984-86); Member of the working group on Emerging Plant Diseases constituted by WHO and Federation of American Scientists (1993); President of Indian Society of Mycology and Plant Pathology (1986-87); President of the Indian Phytopathological Society (1996) and President of Agricultural Section of the Indian Science Congress (1996). Besides having more than 130 research publications in both national as well as international research journals, Prof. Mukhopadhyay is most renowned for his authorship of eight books, which are mainly the product of his own scientific investigations and sometimes his editing of works of leading scientists. Born on March 12, 1940, West Bengal, Prof. Mukhopadhyay served the Gujrat Agricultural and G.B. Pant University of Agriculture and Technology as a successful teacher. Before joining AAU, he was the Dean, Faculty of Agriculture, G.B. Pant University of Agriculture and Technology. His most remarkable contribution in the field of Plant Pathology is the Biological control of plant disease using beneficial fungi.